My ‘girls’ are Pacific NW chickens through and through. They smash the stereotypes about how chickens don’t like to be wet (madder than a wet hen?) while they run around in the rain, soaked to the bone. It doesn’t even phase them to see rain coming down. Their short lives have seen plenty of it. But SNOW? SNOW? Give them snow and they don’t know what to do. They see it so seldom, they forget what it is, forget they’ve experienced it before (a tiny bit) and don’t have a clue what to do. They don’t want to cooperate with photo ops in the snow. They won’t venture out for the promise of cracked corn. They aren’t having it. 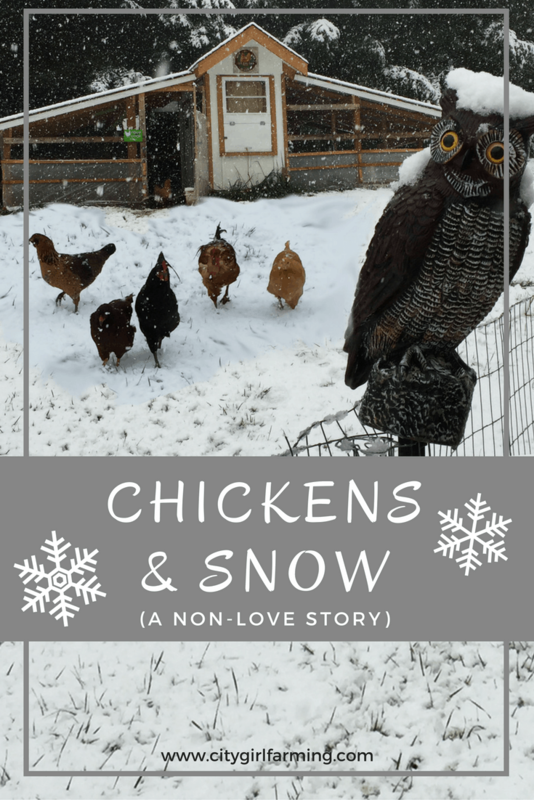 I know my girls are extreme (I did grow up in Montana after all, and the chickens there lived through the winters where there was real snow on the ground, not just a dusting), but there are some things you can do to make snowy conditions better for your hens, regardless of how often they see it. 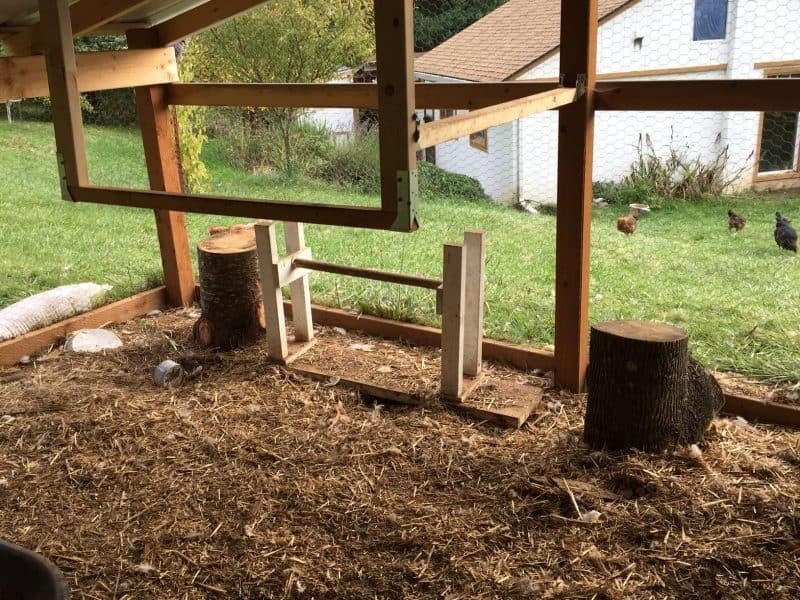 First, make sure they have a covered area to hang out in. 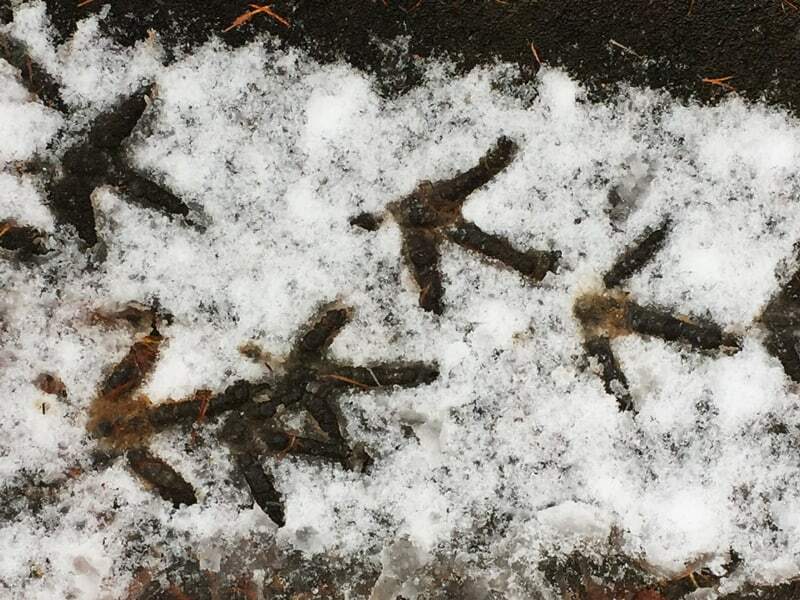 Even though they are outdoor animals and will adjust to the weather, it’s still hard on their feet to stand in snow all day. 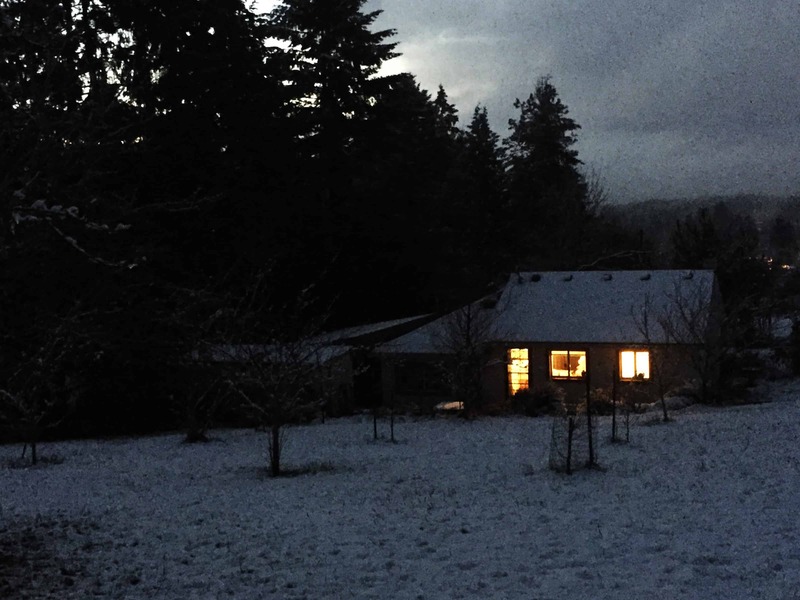 If they have a non-snowy retreat space, they at least have an option of getting out of it if they want to. Second, shovel snow for them. Yep, it’s true. If you shovel a path for them, they’ll venture out on the path (where they can see the ground). And a great thing about them venturing out is that they’ll get a bit of exercise and be less grouchy (with each other). Third, give them roosts or stumps or other structures they can jump up on (that will be warmer than the frozen ground). Fourth, before bed, give them a bit of cracked corn. The corn raises their body temp and helps them stay warmer at night. Mostly, they’ll be okay. They might not like the snow, but it won’t (usually) kill them. 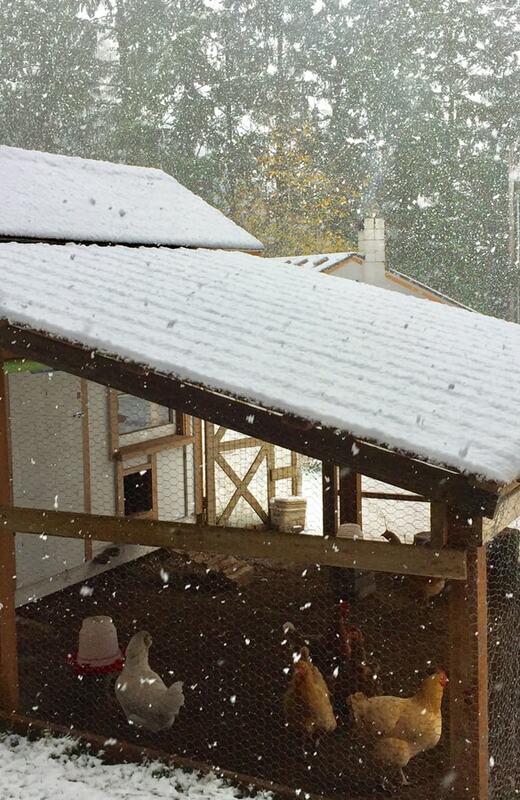 So, even when it snows, you can sleep soundly at night knowing your chickens generally do better in cold temperatures than hot ones and they’re doing just fine. 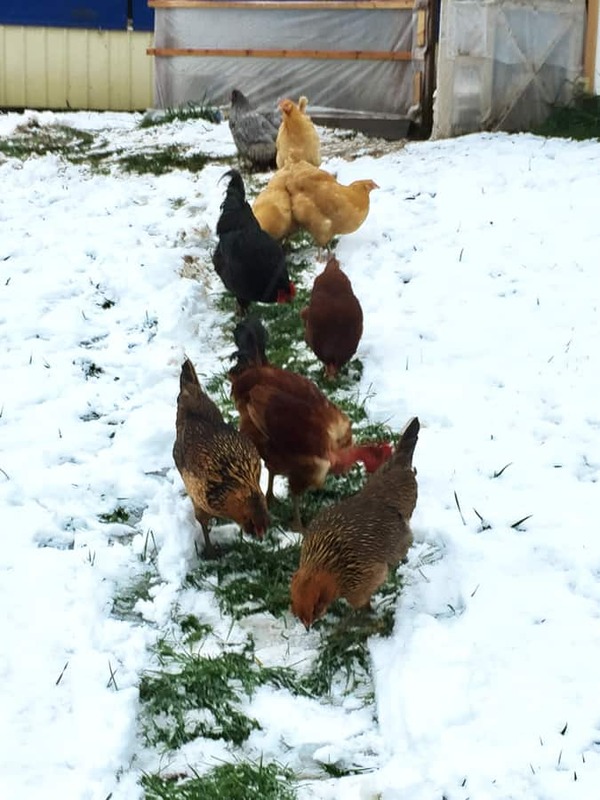 PS If you’d like some ideas on how to prepare your coop and flock for winter, here’s 12 helpful suggestions.